Department of Computer Science and Engineering has started in the year of 2007, with an intake of 60 and increased to 120 in 2013, besides an additional 10% of seats under the lateral entry scheme. This course offers multiple opportunities for careers in industry or for higher studies, beyond introducing the students to one of the most promptly developing technologies in the world. Centralized Computer Centre with more than 750 Systems with internet facility of 150 Mbps used by all the departments of the college. 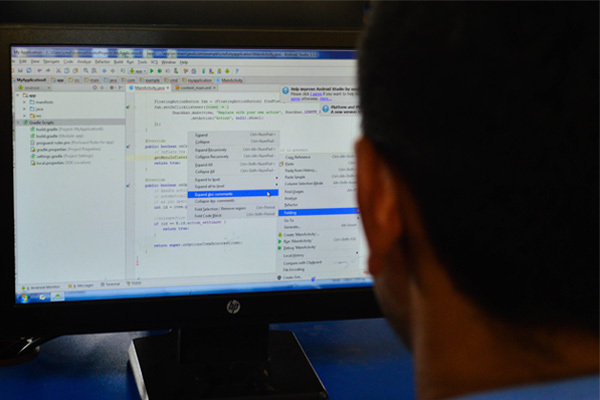 The department offers excellent training in computer programming using both proprietary & open source software and has excellent lab facilities for Internet and Web designing. The department has highly configured digital library to access the e-journal access and for NPTEL reading. Headed by an experienced Professor and supported by dedicated faculty members for work towards progress. All the faculty members are Post Graduate and most of them pursuing their Ph.D. in various fields. Some of the major research areas which the faculty members are working on networks, image processing, software engineering and data mining. All the faculties are members of ISTE professional body. The CSE Department works closely with several related software industries of repute. These relationships facilitate for both faculty and student joint opportunity to learn the recent technologies. Experts from industries and leading institutions are invited every fortnight for technical events under the association activities. Students are sent on industrial visits to companies and they also undergo in-plant training at industries such as BSNL, HCL, Infosys, Techno park, accent technologies, etc. Our Department has signed MoU with Owler inc private limited for Industry Institution Interaction Cell and our Department has also signed MoUs with the several reputed Corporates and it is actively engaged in their Training Programs and Industry Institute Collaboration. The CSE Department effectively prepares students to track leadership, technical and management positions in a variety of companies. Students have obtained successful placements at leading companies like IBM, Infosys, Wipro, Cognizant, TCS, Tech Mahindra and etc. The CSE department functioning towards to reach our mission of provide the best practical experience and innovative concepts which serve as the foundation for carriers and the best opportunity for higher studies in the engineering field for every undergraduate student. To produce globally competent Computer Science and Engineering graduates through value-based technical education to outperform in the vibrant computing world and adapt to life-long learning. MD1: Creating technocrats with strong core competencies in the field of Computer Science and Engineering which serve as the foundation for career. MD2: Providing the best practical experience and innovative concepts which help them to solve societal issues in ethical manner. MD3: Providing the value based technical education to specialize in the field of computer science engineering. PEO1: Graduates will establish themselves as effective computer professionals by solving real world problems using cutting edge technologies of Computer Engineering. 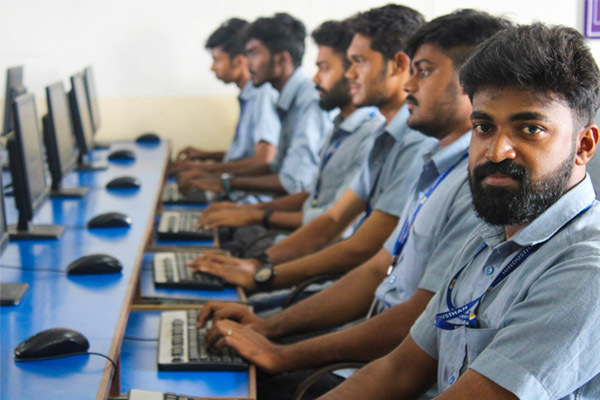 PEO2: Graduates will be inculcated with professional and ethical attitude, team work, effective communication, multi-disciplinary approach with an ability to relate computer engineering issues with social awareness. 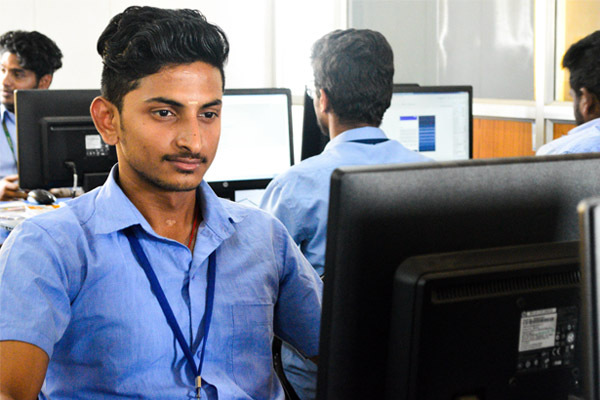 PEO3: Graduates will actively pursue graduate studies in advanced areas of computer science and related fields by succeeding in competitive exams. PSO 1: Ability to understand and analyze the real world computational problems and to develop solutions by applying mathematical logic, appropriate data structures and algorithms. PSO 2: Ability to become a successful software engineer by creating and using modern IT tools. PSO 3: Graduate will have communication and leadership skills to endure themselves working as a member or managing a team. PO1: ENGINEERING KNOWLEDGE: Ability to apply knowledge of mathematics, Science and Engineering applicable to Computer Science and Engineering discipline. PO3: DESIGN /DEVELOPMENT: Ability to design, implement and evaluate a computational system to meet desired needs within realistic constraints such as economic, environmental, social, ethical, health and safety, manufacturability and sustainability. PO4: CONDUCT INVESTIGATIONS OF COMPLEX PROBLEMS: Ability to apply design and development principles in the construction of software systems of varying complexity and perform testing. PO5: MODERN TOOL USAGE: Ability to use appropriate techniques, skills, and modern tools to produce quality software products and solutions using Software Engineering principles. PO6: THE ENGINEER AND SOCIETY: Ability to develop innovative ideas that can be translated into products benefiting the society and the economic growth. PO7: ENVIRONMENT & SUSTAINABILITY: Ability to assess the impact of engineering practices on societal and environmental sustainability. PO8: ETHICS: Ability to understand and apply professional, ethical, security, social issues and responsibilities for the computing profession. PO9: INDIVIDUAL AND TEAM WORK: Ability to function effectively as individuals and as a member of a team to share computing design, assessment or implementation of a common goal. PO10: COMMUNICATION: Ability to communicate, write effective reports, design documentation and make effective presentations. PO11: PROJECT MANAGEMENT AND FINANCE: Ability to work with good engineering and managerial skills and teamwork for successful completion of projects. PO12: LIFE LONG LEARNING: Ability to recognize the need and an ability to engage in life-long learning. Networks and simulation Lab consists of state of art infrastructure with high end configuration computing equipment supported by high speed Ethernet and wireless networks. This lab is provided with high speed internet connectivity round the clock. This lab is equipped with a wide variety of proprietary and open source software for experimenting real world concepts in networking. Some of the software includes NS2, Packet Tracer, NetStumbler, etc with the help of which the students can build their own network, know how data communication takes place in real world and so on. RDBMS Lab is a futuristic lab with premium systems with high speed internet connectivity. This lab aims at developing the students with excellent skill in database creation and management by providing a strong formal foundation in database concepts, technology and practice to the participants to groom them into well-informed database application developers. Major software in this laboratory includes MYSQL, Oracle 11G, IBM Rational Rose, Argo UML, ASP.NET, PHP, Visual Studio, etc. The Project Laboratory offers the students, the opportunity to gain valuable hands-on experience on modern IT Tools and to provide solutions to the societal problems by developing new products. Student researches are carried out in this laboratory. This lab is equipped with high end systems and software like Hadoop, Weka, Globus Toolkit, YARN, R Package, Hbase, MongoDB, Android Studio, etc. This laboratory is provided with 24*7 internet connectivity. Mobile app means a lot to us. 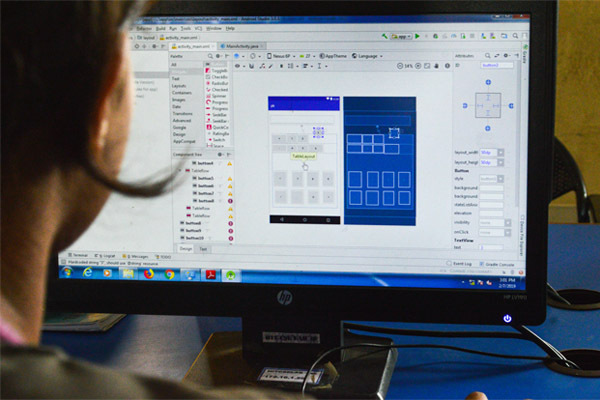 In mobile application laboratory, students are actively engaged in developing various applications for Android mobile phones with the help of Android studio, Kotlin etc. Brilliant Bird Technologies, Coimbatore have signed an MOU, to train the students to develop various mobile apps. Students have participated in many events and won prizes in mobile application development. He is having more than 18 years of Teaching Experience in the field of Computer Science and Engineering. He has published 12 papers in various National and International Journals and conferences. He has also published 5 patents. He is having more than 11 years of Teaching Experience in the field of Computer Science and Engineering. He has published almost 15 papers in International Journals. His area of interest is Information and Communication Engineering. He is having more than 10 years of Teaching Experience in the field of Computer Science and Engineering. He has been coordinator for 10 Department events. He has published 1 paper in International Journal. She is having more than 14 years of Teaching Experience in the field of Computer Science and Engineering. She has organized 1 Workshop program. Her areas of Interests are Multi-core architecture and Image Processing. Her area of interest is Network Security and Cloud Computing. She has more than 10 Years of experience in the field of Computer Science and Engineering department. She has presented almost 8 papers in conferences. She is having more than 6 years of Teaching Experience in the field of Computer Science and Engineering. 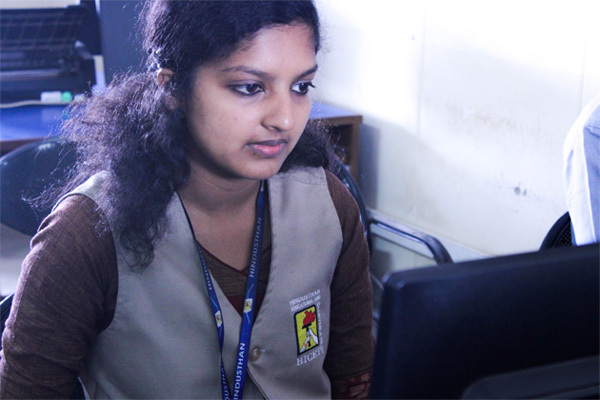 She has attended one FDP program and her area of interest is Computer Graphics. Her area of Specialization is Ad-hoc Networks. She has six years of experience in computer science and engineering. She has published seven papers in Scopus indexed journals. She has attended almost 8 conferences in various engineering colleges. He is having 5 years of Teaching Experience. His areas of Interest are Theory of Computation and Compiler Design. He has attended three FDPs and one workshop and seminar programs. Mrs. S. Girija Lakshmi, M.E. She is having more than three years of teaching experience in Computer Science and Engineering. Her area of Interest is Computer Networks and Enterprise Computing. She has attended three Faculty Development Programs in various colleges. He is having 4 years of Industrial experience and 4 years of Teaching experience. His area of Interest is Operating System and Object Oriented Programming. 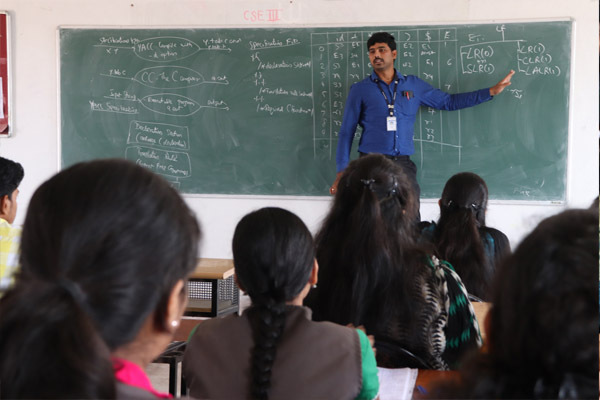 He has attended three Faculty Development Programs in various Engineering colleges. He is having more than 6 years of Teaching Experience in the field of Computer Science and Engineering. His areas of Interest are Computer Networks and Data Structures. She has around 6 years of teaching experience in various engineering colleges. She had around 3 publications in International Journals and conferences. Her area of Specialization is Computer Networks and Cloud Computing. She has two years of academic experience. She have published 2 International Journal and attended 3 FDTP, 2 workshops. Having an experience of 1 year 10 Months. Published a book titled “Problem Solving and Python Programming” and also published 6 research papers in reputed International Journals. She has around 7 years of teaching experience. Her area of interest includes data structures and data mining. She has around 6 publications in International Journals and attended 2 National and International conferences. He is having more than 10 years of teaching and industrial experience. He has published more than six papers in various International Journals and presented papers in National Conferences. He has specialized in J2EE, J2ME, Web Services and Enterprise Computing. She is having 1 year of teaching experience. Her areas of interest include Cryptography and wireless Sensor Networks. She has published one paper in International Journal. Her area of Specialization is Cloud Computing. She has an experience of one year in the field of Information Technology. She have attended almost 3 conferences in various Engineering colleges and published one paper in international journal. He is having more than 5 years of teaching experience. He is pursuing Ph.D in IoT. He specialized in Wireless Sensor Network and Big Data Analytics. He has published more than 5 research paper in International Journal. He is a member of ISTE. He is having more than 4 years of Teaching Experience in the field of Computer Science and Engineering. He has published in1 International Journals and 1 National journal. She is having more than 4 years of Teaching Experience in the field of Computer Science and Engineering. She has published in 3 International Journals and 2 National journals. Her area of Specialization is Computer Networks and Cloud Computing. She has two years of academic experience. She have published 2 International Journal and attended 3 FDTP. ICTACT in association with VMWARE have established VMWare Laboratory in our campus. The main objective of this collaboration is to make the students to excel in various technologies like Data center Virtualization, network virtualization and cloud management and automation. Students and faculty members undergo training provided by industry professionals and undergo certification exams. Many have obtained VMWARE certification. Big data is the buzzword of current IT trend. In order to enrich the students with knowledge on Big data, ICTACT in association with DELL EMC Education have set up Data science and Big Data Analytics Laboratory. 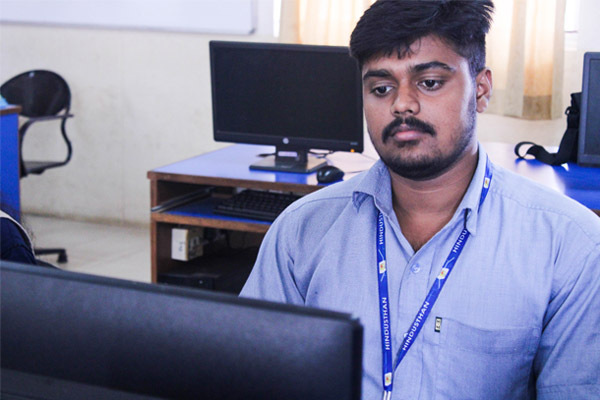 Through this laboratory, the students will come to explore about Data processing and Data mining techniques, Hadoop , Mining with Hadoop, data analysis using Pig and HIVE and much more. These skills make them to provide innovative solutions to the society. Mobile Application Development Laboratory This collaboration was established to motivate the students to develop recent trends in mobile application development. Faculty members’ and students undergone training in this lab and learn technologies like Android, Kotlin, etc. Our students have developed several mobile apps through this lab. Software Testing Every product developed is expected to be BUG FREE. To make sure the students, what they have developed is correct; they need to be aware of methods to find the fault. This course, software testing helps the students to evaluate their product and make sure it is working correctly. An MOU have been signed between the college and Sensitive Technologies for providing knowledge about software testing to the students. Manual and automation testing methodologies will be exposed to the students.